Objective: This tool aims at measuring, in a multifaceted manner, the competitiveness of any given sub-sector within manufacturing. The methodology is in line with that of the industrial capacity and growth tool, and it measures both the production and the exports of any sub-sector using a number of indicators. Through the comparison of performance across sub-sectors, the tool helps identify those sub-sectors that can contribute most to the corresponding indicator in the industrial capacity and growth tool. 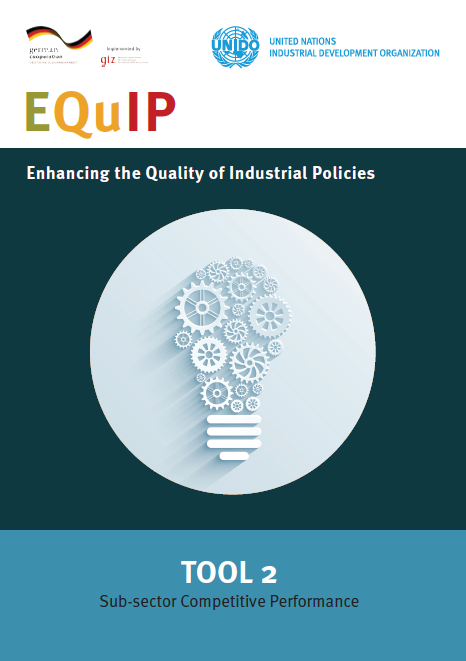 The tool therefore provides information on the past developments of a sub-sector, but also supports the sub-sector selection exercise in the strategy-setting phase of the industrial policy cycle. To what extent is a country able to produce and export products of a particular sub-sector, how is their performance compared to their main competitors and role models, and how has the capacity to produce and export changed over the years? How important is the country as a global (or regional) player in a specific sub-sector, and how has its world (regional) market share changed over the years? How much does a particular sub-sector contribute to the manufacturing industry of the country?